Give up Doritos? Say What? 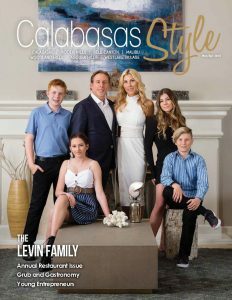 | Calabasas Style Magazine Give up Doritos? Say What? Give up Doritos? Say What? The Apple Watch and other electronic monitoring devices are not always accurate as tools—at times my Apple watch indicates that I have been working out for 15 minutes when in reality it’s been over an hour. Still, I’m a big fan. After all, they do tell you heart rate, steps, active minutes, and a multitude of helpful additions. The recent addition of the ECG monitor to the Apple Watch 4 has already saved some lives. It is a unique tool that actually monitors your heart rhythm and tells you if you have any signs of atrial fibrillation. This is not a substitute for a visit to the cardiologist, of course, but it is a helpful tool none the less. The risk of such a device is that it might cause unneeded panic and visits to the ER, but it is a nice bonus. While I haven’t tested the PainPod, it sounds like it might have some promise. It is a bioelectrical device that claims to understand peripheral nervous and body systems. It is a wearable device that focuses on a pain area and gives you relief. What you eat is one of the key elements to keeping you healthy. 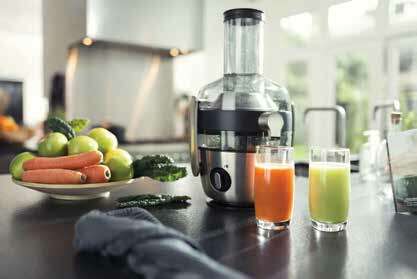 The Philips Avance is a juicer that includes FiberBoost Technology, which allows you to choose the texture of your juice, and can boost your fiber intake by 50% with the flip of a switch. On a personal note, I am a frequent visitor of Hook Burger; they offer a much healthier menu, including Ahi tuna burgers and my all-time favorite–their outstanding turkey burger, which is actually made with white-meat turkey and quite unusual for a fast food restaurant. Now, onto the dreaded exercise! We all hate it yet we really have to get our acts together and do it. Swimming can be one of the least painful and most productive forms of exercise; it gently works multiple parts of the body and is an incredible, full-body workout. The Finis Neptune is a device that is secured on the user’s eyewear. It uses bone conduction audio to relay music to the ears; no need for any kind of headphones. It comes with 4GB of storage space and a rechargeable battery that will give you eight hours of use. It also includes an OLED screen with music controls. Retailing for around $160, this device helps to make your swim experience more enjoyable. Put on the Rocky theme and get going. If biking is your thing, check out the Sportiiiis; it is a heads-up display that includes voice prompts to keep you posted on your speed, heart rate, cadence, and power. This coming year, let’s really get moving and get healthy. Of course, I’m talking about you not me; no way am I giving up my Nacho Cheese Doritos.